500 liters or 132 gallons of water from Lac Leman are pumped 140 meters / 459 meters into the air. Around 7000 liters or 1849 gallons of water are in the air at any moment it is operated. It is an impressive feature visible even when you fly at an altitude of 33 000 feet over the city. 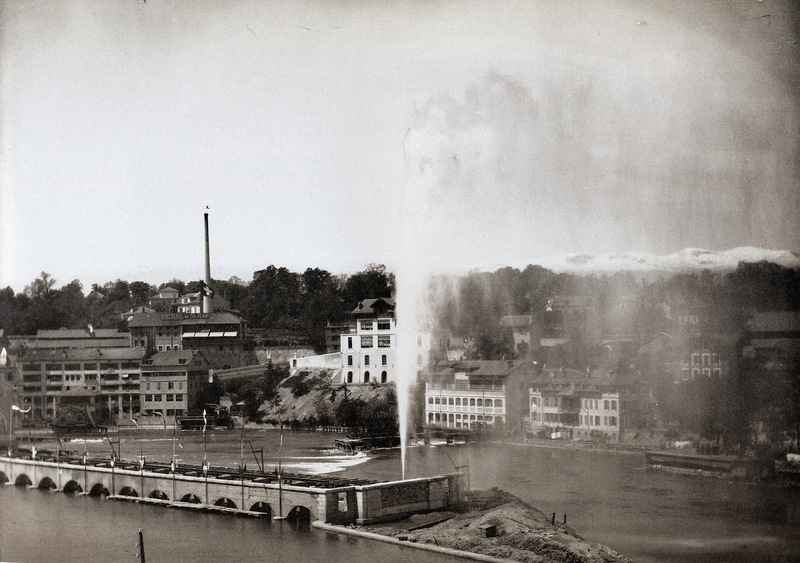 The first Jet d'Eau was 30 meters / 98 feet tall and was installed in 1886 at the Usine de la Coulouvrenière, a little bit further downstream. It worked a safety valve for a hydro electric power network. 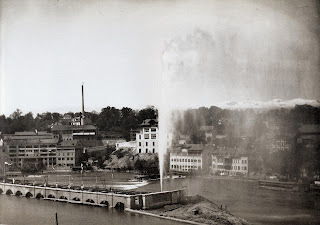 The first Jet d'Eau was, du to its beauty, moved to its present location in to celebrate Federal Gymnastics Festival and the 600th anniversary of the Swiss Confederation in 1891. The present water feature was opened in 1951. It is operated all year, except during frost or strong wind.